Students after SPM, O-Levels, UEC, STPM, Foundation or Pre-University wanting to pursue the Actuarial Science & Finance degree course in a university with full campus facilities in Kuala Lumpur can consider the top ranked UCSI University. With more than 28 years of education experience, UCSI University provides an affordable actuarial science & finance degree programme in Malaysia supported by excellent facilities. 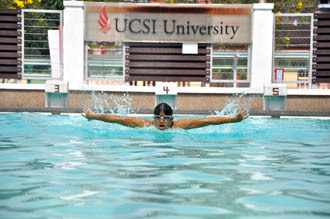 UCSI students will enjoy the wide range of sports facilities as well as interact with students from more than 80 countries. Students after SPM or O-Levels interested to register at UCSI University for Foundation in Arts may go to this link for the online application. Students after STPM, UEC, A-Levels, Foundation or Pre-University may enter directly into the Bachelor of Science (Hons) Actuarial Science & Finance at UCSI University with the relevant results. As the financial market is getting more volatile these days, enterprise risk management becomes an essential component of big corporations. To furnish the demand for personnel of this profession, UCSI University developed the BSc (Hons) Actuarial Science & Finance. The objective of the Actuarial & Finance degree programme at UCSI is to produce graduate competent in knowledge and skills for financial investment management, assets valuation and risk management for various financial assets such as equities, bond, FOREX, commodities and derivatives. The Bachelor of Science (Hons) Actuarial Science and Finance degree programme at UCSI University exposes students to both theoretical and practical approaches to investment analysis, security analysis, and portfolio and risk management. In addition, the programme also provides comprehensive study of money markets, financial instruments, financial planning, banking and corporate financial management, the essential working knowledge for executives in the financial industry in Malaysia. The assessment includes a combination of examinations, projects and assignments, and finally a requirement to complete a Financial Research Project in the final year. Students will acquire up-to-date vocational skills that are relevant and competitive. This reflects the complex and challenging nature of the accounting, finance and business realms. Why Choose the Bachelor of Science (Hons) Actuarial Science and Finance Programme at UCSI University? Higher demand by employers as the students are equipped with Actuary Skills and Financial Knowledge. Introduction to Islamic Banking and Fin. Islamic Fin. Market & Inst. 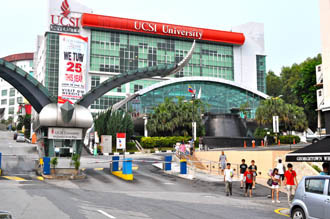 UCSI University is ranked in the Top 300 Universities in Asia in 2015 by the renown QS University Rankings. 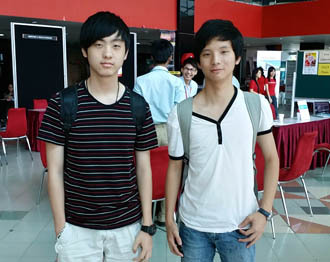 2015 – Wong Hao Yi & Kok Yat Sing, Bachelor of Science (Hons) Actuarial Science students at UCSI University, became National Champions for CIMB ASEAN Stock Challenge 2015, organised by CIMB Group Holdings Bhd, Malaysia’s second-largest bank by assets. 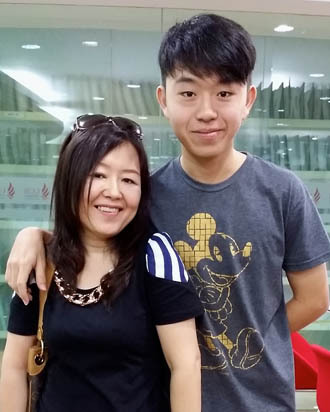 2015 – Kong Kah Weng, Eric, Bachelor of Arts (Hons) Marketing student at UCSI University, is the First Prize Winner for the “Think New” Essay Writing Competition, Eric Kong won himself a one month internship at Novo Education New Zealand. 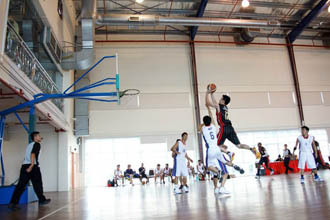 The competition was organized by South and South East Asia (SSEA), Education New Zealand. 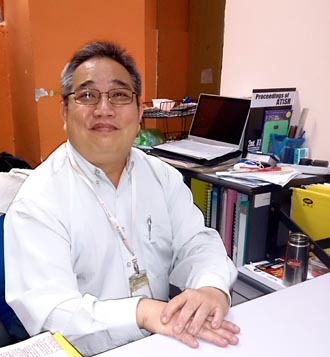 2015 – Lim Czi Xian, Bachelor of Science (Hons) Finance and Investment at UCSI University, was chosen as the Seminar Leader for Obuse, Negano Prefecture to teach 8 seminars on philosophy in Japan, a project fully sponsored by Reischauer Institute of Japanese studies at H-LAB, Harvard College Japan Initiative. 2015 – Fatin Aveena Binti Azlan, Bachelor of Business Administration (Hons) Oil and Gas Management student at UCSI University, participated in the 2015 Yong Southeast Asian Leaders Initiative* (Yseali) Institute on Environmental issues in the United States, fully funded by the Department of United States and will be hosted by the University of Montana, Montana from 25 August -30 September 2015. * Initiative by U.S. President Barack Obama, international Council of Malaysian Scholars and Associates, Hosted by Mckensey & Co.
2013 – Lim Wai Hing & Chew Pei Xin (Bachelor of Arts (Hons)Business Administration students at UCSI University) won First runner-up placing at the Malaysia Startup Challenge (MSC) – Institution of Higher Learning (IHL) Business Plan Competition (MIBPC), 2012/2013, an annual competition that seeks to nurture a new generation of technology entrepreneurs. Established since 2009, EduSpiral Consultant Services helps provide information and counselling on courses and universities in Malaysia & Singapore. 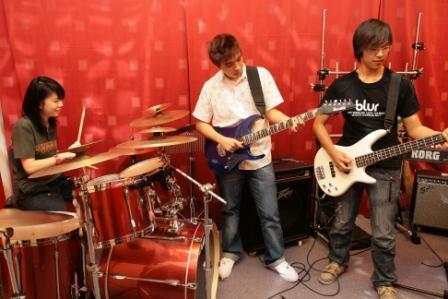 EduSpiral Consultant Services represents the best colleges and universities in Malaysia offering a wide range of choices for students to choose from. 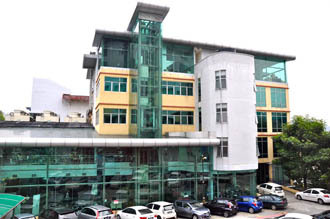 These colleges and universities offer value for money in the quality of education and excellent facilities that you get.These universities and colleges are chosen by EduSpiral because they represent the best in their fields in Malaysia and affordable.